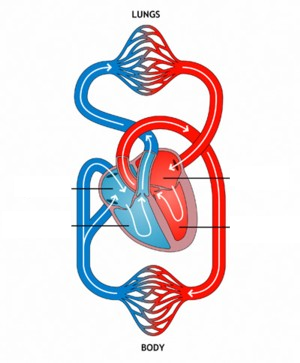 The function of the heart is to pump blood around the body. 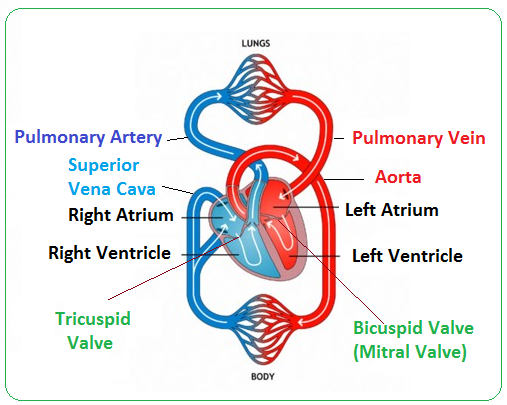 The right ventricle pumps blood to the lungs and the left ventricle pumps blood to the rest of the body. 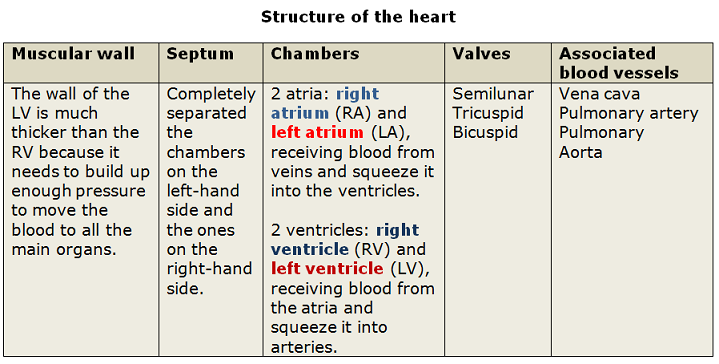 Blood from the lungs flows back into the left atrium (LA) and then into the left ventricle (LV). Blood returns to the heart where it enters the right atrium (RA). The heart is made of a special type of muscle called cardiac muscle which contracts and relaxes regularly, throughout life. The heart’s muscle is constantly active, so it needs its own blood supply, through the coronary artery, to provide it with oxygen and glucose. 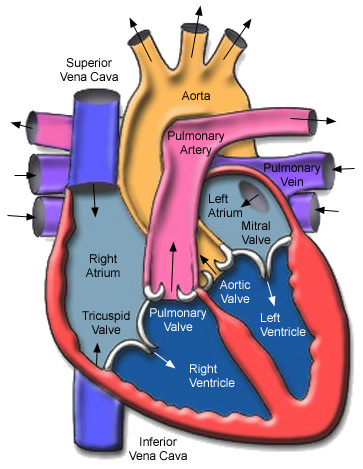 Valves in the heart prevent blood from being pushed backwards up into the atria when the heart ‘beats’. 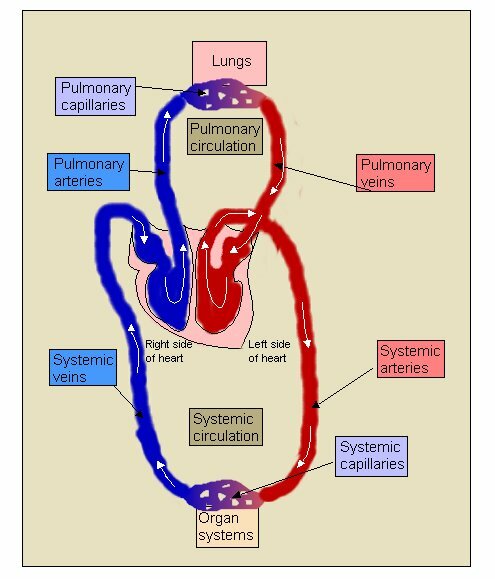 2.Blood leaving the right ventricle has more CO2 and less O2 than blood entering the left atrium.